Vitamin A is also known as retinol. Vitamin A helps the immune system work properly, keeps our skin and lining of some parts e.g. the nose, healthy, and it helps us see when the light is dim. Where can we get Vitamin A from? 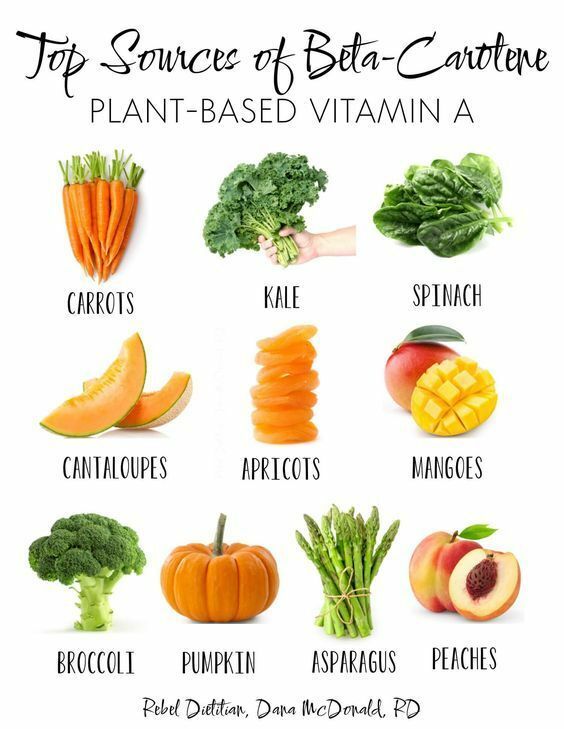 Vitamin A can be created with beta-carotene. This can be obtained from vegetables, such as spinach, broccoli, carrots, sweet potatoes, pumpkin, squash and red peppers. It can also be sourced from fruit, such as mango, papaya, peaches and apricots. It can also be found in fortified margarine and spreads. Vitamin A is destroyed when it’s used for frying, but if it is eaten with bread, it won’t. Men between 19 and 64 years of age need 0.7mg per day. Women aged between 19 and 64 need 0.6mg a day. Excess Vitamin A that the body doesn't need will be stored for future use. Thus we don’t need to consume it every day. What happens if we have too much Vitamin A? The NHS website refers to some research which shows that having more than 1.5mg of Vitamin A per day, over many years, may increase the likelihood of fractures when we're older. Sourcing Vitamin A through food, as well as, taking a number of different supplements, may result in consuming too much Vitamin A. The elderly, people at risk of Osteoporosis, pregnant women and those who are trying to conceive need to be particularly careful about how much Vitamin A is being consumed. What does the Department of Health have to say about Vitamin A?